At a ceremony held Saturday afternoon in Yokohama from the Nissan Gallery, three-time GT500 Drivers’ Champion and Nissan racing legend announced his retirement from top-level competition, after a decorated career that included twenty-three seasons as Nissan’s ace driver in the Autobacs Super GT Series. Motoyama will now take on a new role as Executive Advisor of Nissan and NISMO, working with new Super GT GT500 class programme director Motohiro Matsumura, and will continue to provide support to the teams and drivers competing in this year’s championships. From his very first start from pole position in a GT300 class Nissan Silvia S14 in the third round of the 1996 All-Japan GT Championship (JGTC), to his 183rd and final Super GT race in the 2018 Motegi GT 250km Grand Final this past November, Satoshi Motoyama set a standard for excellence as a Nissan racing driver. His first opportunity in the GT500 class came in 1997, when the legendary Kazuyoshi Hoshino appointed him as his co-driver in the famous Calsonic Nissan Skyline GT-R. In 1998, Motoyama drove for first-year team owner Aguri Suzuki and Autobacs Racing Team Aguri. 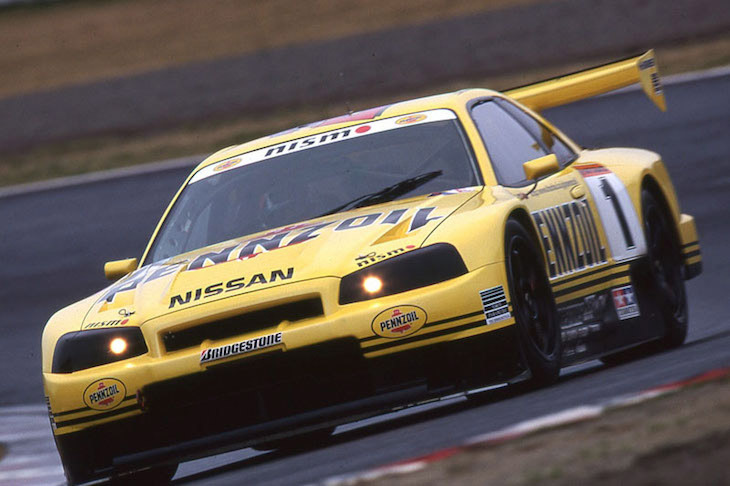 But 1999 was Motoyama’s breakout year as a GT500 driver, where he joined the NISMO factory team and partnered Érik Comas in the Pennzoil R34 Skyline GT-R. At the fourth round of the season at Central Park Miné Circuit, Motoyama won his first GT500 race, a race that was remembered for the epic duel between his co-driver Comas, and fellow F1 alumnus Ukyo Katayama, in the closing laps of the race. Motoyama finished third in the Drivers’ Championship, with four podiums and top-seven finishes in all six of his races. In 2000, Motoyama moved back to Team Impul and the Calsonic Skyline GT-R, and he scored his second career win at Miné Circuit in the penultimate race of the season. A significant victory in that it would turn out to be Kazuyoshi Hoshino’s last win as a racing driver, before he retired in 2002. Motoyama once again finished third in the GT500 Championship. 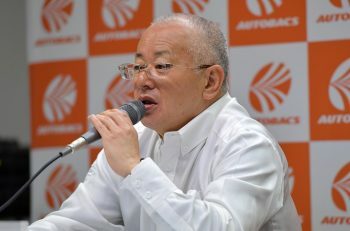 As Motoyama was winning races in the GT500 class of the JGTC, he was simultaneously rising to the top of the single-seater world in the Formula Nippon Championship. After debuting in 1996 driving for Aguri Suzuki and his new Super Aguri team, Motoyama switched to Team Le Mans for the 1998 season, won his first three races, and then won the championship. He’d win his second championship in 2001, driving for Hoshino-san at Team Impul, overturning a 22-point deficit after the first four rounds by winning three of the next four races after. The 2003 season initially started with success and the promise of more championships by the end of the year, but the optimism of the year to come soon turned to tragedy. On 6 April, 2003, 250cc motorcycle World Champion Daijiro Kato, a childhood friend of Motoyama’s, was critically injured in a high-speed crash during the MotoGP World Championship opener at Suzuka Circuit. Two weeks later, on 20 April, Kato passed away from his injuries. He was just 26 years old. 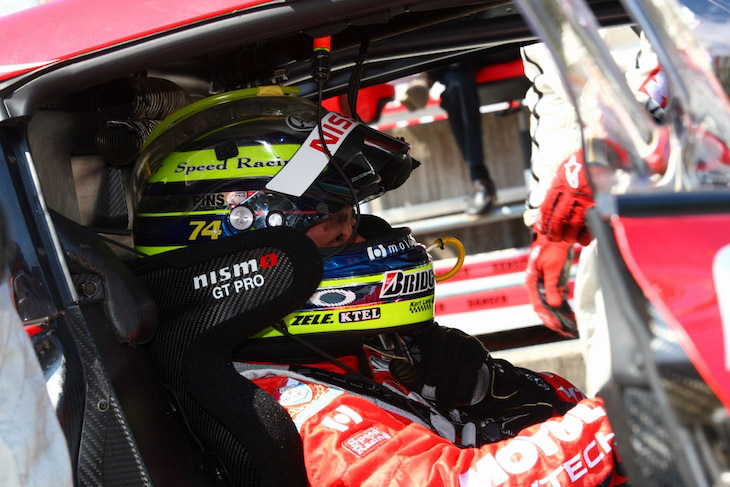 Wearing Kato’s signature number 74 on his helmet as a tribute, Motoyama was determined to become champion for his departed friend. He won the first three races to open the season at Suzuka, Fuji, and then at Miné, one week after Kato’s death. He’d win the sixth round at Sugo, and at the penultimate race at Motegi, a second place finish would be enough to capture his third Formula Nippon title. By 2003, Motoyama was back with NISMO in GT500, and after missing out in 1999 and 2000, was determined to win his first title. 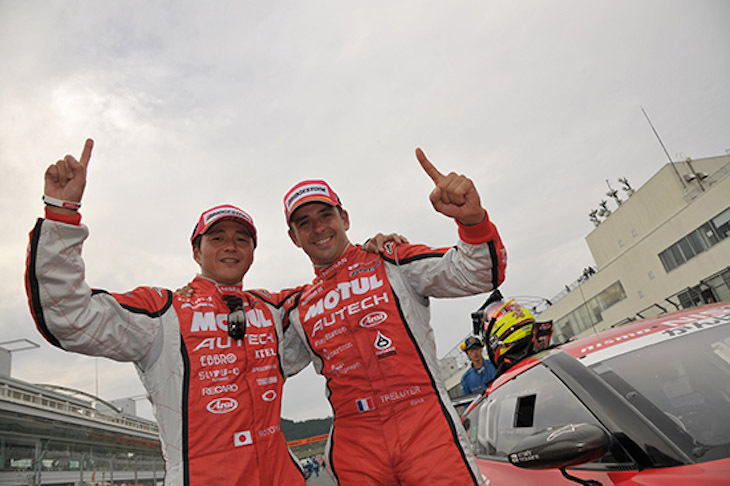 Motoyama and co-driver Michael Krumm started the year by finishing 2nd at TI Circuit Aida (Okayama). They’d finish 4th, 3rd, 5th, and 3rd in the next four races, and then another fifth place at the penultimate round at Autopolis set Motoyama and Krumm up for a title showdown with reigning champions Juichi Wakisaka and Akira Iida of Toyota Team LeMans. A third place finish for Motoyama and Krumm, with Wakisaka and Iida only finishing seventh, allowed the #23 Xanavi NISMO Skyline GT-R to overturn a six-point deficit in the final race of the season to win the title by three points. At long last, Satoshi Motoyama became a GT500 Champion, and even though he didn’t win a race to do so, he made history that year when he became only the second driver to win both the GT500 and Formula Nippon Championships in the same year: The elusive “Double Championship,” captured only once before, by Pedro de la Rosa in 1997. 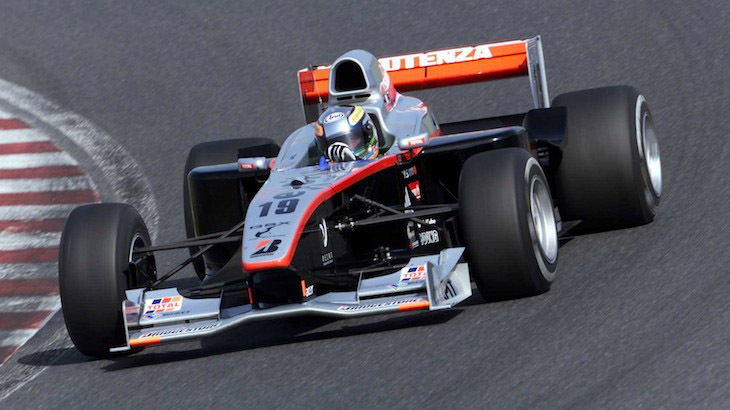 By the end of the year, Satoshi Motoyama sought out opportunities to race in Formula 1. His motivation was to race in a World Championship, just as his friend Daijiro Kato sought out to do before his untimely death. Motoyama was given a Friday test at the 2003 Japanese Grand Prix with the Jordan F1 Team. Nissan’s ties with Renault helped leverage a test with the Renault F1 Team that December. But with no relevant manufacturer support, no wealth of personal sponsors, and already nearing his mid-30s, Motoyama simply couldn’t land a drive in F1. 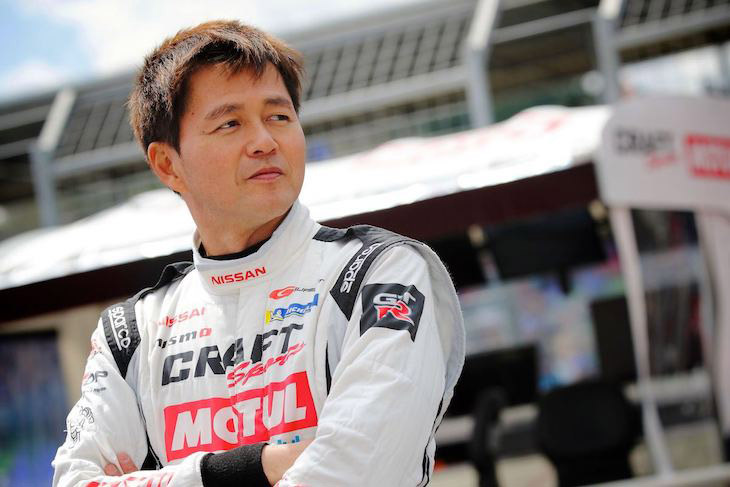 Motoyama would thus dedicate his career to domestic competition, and as the reigning GT500 champion, he and new co-driver Richard Lyons christened the Nissan Fairlady Z’s debut race in the GT500 class with a victory at the Aida Circuit. They’d finish 3rd at Sepang, 3rd at Motegi, and then pick up their second victory in Autopolis, before clinching the title once again at Suzuka with a seventh place finish, and giving Motoyama his second straight GT500 crown to go with his three Formula Nippon titles. Motoyama would continue to win races over the next three seasons. 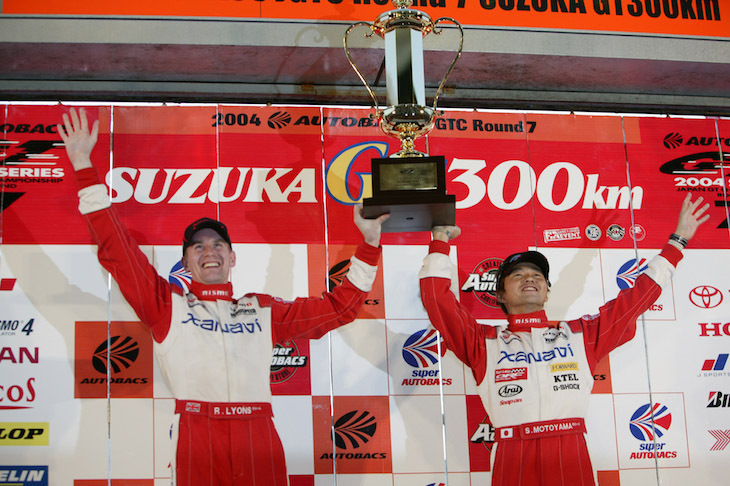 In 2005 with Lyons, and in 2006 with Tsugio Matsuda, Motoyama took his bid for a third GT500 Championship to the final race, only to fall just short. 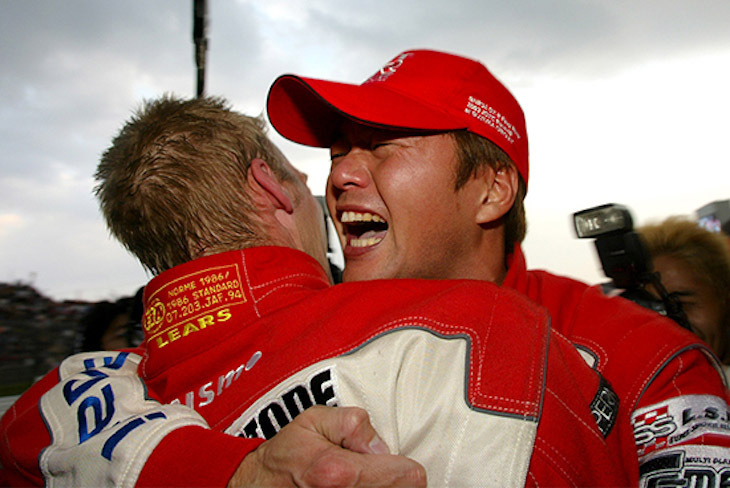 He’d win his fourth and final Formula Nippon Championship title in 2005, defeating runner-up Yuji Ide. 2008 would be a landmark year for Nissan. The GT-R was relaunched as the company’s halo supercar, and would return to GT500 the same year. Motoyama was partnered with a new co-driver in Frenchman Benoît Tréluyer. 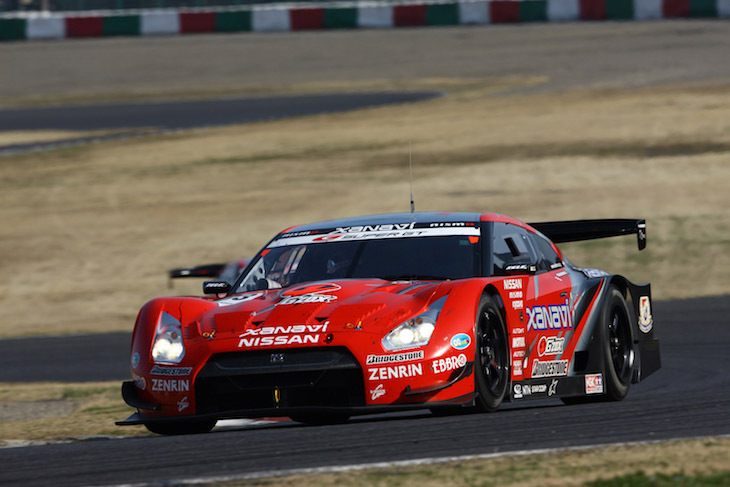 And at the first race of the season at Suzuka, Motoyama and Tréluyer helped write a storybook first chapter in the GT-R’s racing history by leading a NISMO 1-2 finish in the car’s debut race. They’d win again in dominant fashion, with the hat trick of pole, fastest lap, and victory at Okayama, making them the first team to start a season with consecutive victories in ten years. 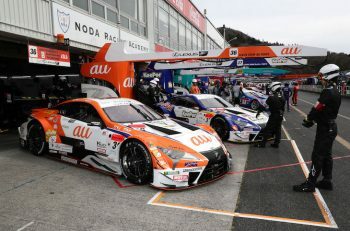 Though they struggled through the middle stretch of the season, Motoyama and Tréluyer got a benefit in the form of Super GT’s points system at the time, which dropped the worst two results of each team’s first six races. At the penultimate round at Autopolis, Motoyama and Tréluyer won their third race of the season, and they’d hang on to clinch the championship at Fuji with a ninth-place finish. In doing so, Satoshi Motoyama became the first undisputed three-time GT500 Champion in the history of Super GT. In 2009, Motoyama once again found himself in championship contention. 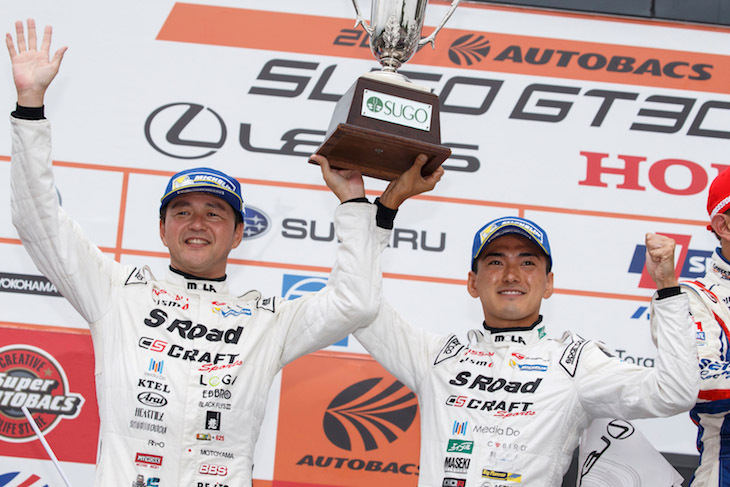 With his 11th career win at the Fuji 500km, and his 12th career win at Sportsland Sugo – a win that ended Nissan’s fifteen-year curse at the popular circuit, Motoyama took sole possession of Super GT’s all-time wins record in GT500. He was leading the championship going into the final race at Twin Ring Motegi, before a puncture cost NISMO five laps in the garage, and ended their title bid. By then, Motoyama had drawn his Formula Nippon (now Super Formula) career to a close. His last victory came in the 2007 season finale at Suzuka, his 27th victory, the most in the Formula Nippon/Super Formula era, and second in the all-time history of Japanese Top Formula racing, only to his mentor Hoshino, and his 39 victories. 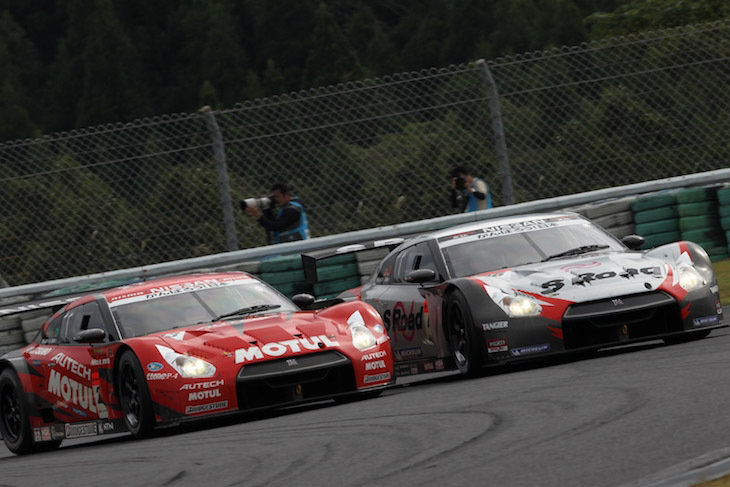 2011 saw Motoyama again chasing after his record fourth GT500 Championship with his partner Tréluyer and the NISMO team. The penultimate race of the year at Autopolis saw, arguably, the most heroic individual of Motoyama’s Super GT career. Starting from 12th and needing a win to keep his title hopes alive, Motoyama quickly went to work climbing through the field, within the first 10 laps he was already 5th, and it only took him 26 laps to get past race leader Hiroaki Ishiura and into the lead, which they would not relent as Tréluyer closed it out and took the Motul Autech GT-R’s second win of the season. In the final race at Motegi, Motoyama took his fifteenth Super GT victory, and Tréluyer won what would prove to be his Super GT swansong, but would finish second in the standings to GT500 newcomers MOLA, and co-drivers Masataka Yanagida and Ronnie Quintarelli. Satoshi Motoyama, of course, never got the chance to race in Formula 1 that his success in Japan should have warranted. 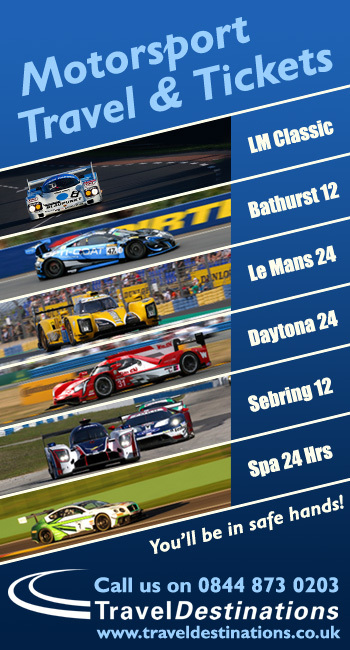 But four times, he got the chance to represent Nissan at the 24 Hours of Le Mans. 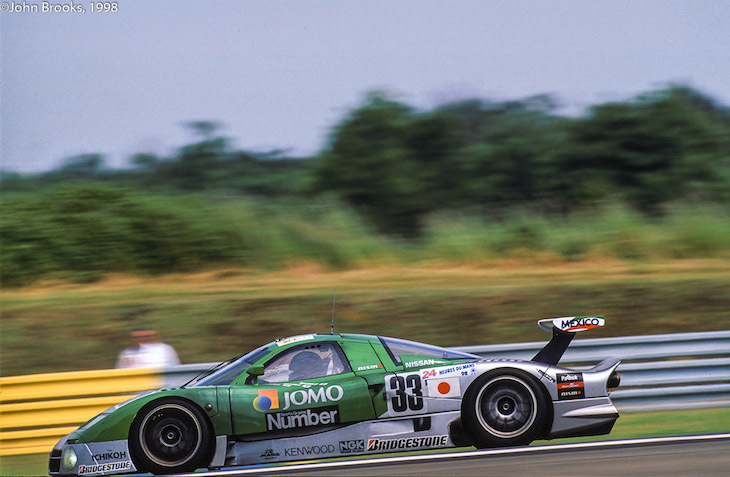 Though he was afraid of the great circuit going into his first race in 1998, he pre-qualified his Nissan R390 GT1 on his first attempt and finished 10th overall, 9th in class. It was his only race finish in four attempts, a record unreflective of his incredible skill as a driver. In 1999, Motoyama returned to Le Mans in the Nissan R391 prototype. Days after Eric van de Poele’s high-speed terror crash wrote off the sister R391, Motoyama, Comas, and Krumm were running as high as 4th overall before retiring after 110 laps. But it was Motoyama’s decision in the weeks leading up to the race, to skip the Golden Week JGTC race at Fuji – thus sacrificing his own share of the 1999 GT500 Championship – and help pre-qualify the R391 for Le Mans that may have confirmed his loyalty to Nissan for the long haul. Motoyama’s most famous Le Mans appearance came in 2012, aboard the radical Nissan-powered DeltaWing concept. Six hours into the race after a frantic restart, Motoyama was clipped by the Toyota TS040 of his countryman Kazuki Nakajima, and crashed at the Porsche Curves. 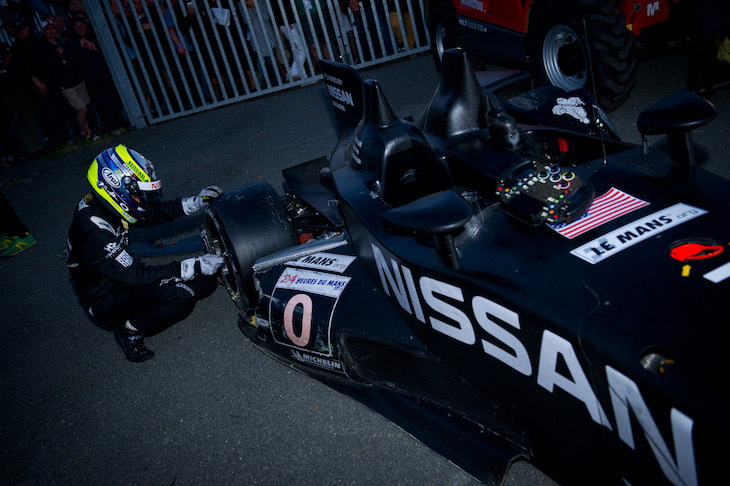 If ever one was deserving of a Spirit of the Race award that year, Satoshi Motoyama’s heroic efforts to revive the stricken DeltaWing certainly did in the 2012 24 Hours of Le Mans. For two hours after the accident, Motoyama, with only a screwdriver in hand and tried everything he could to fix the car and bring it back to the pits. 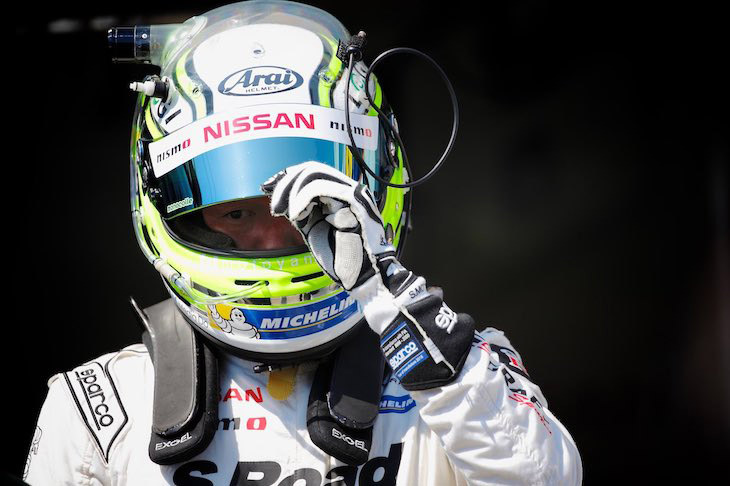 His Nissan Racing mechanics, together with Nissan’s Darren Cox, stood behind the spectators’ fence guiding him to every possible resolution to fix the car. Ultimately, Motoyama’s attempts to get the car back to the garage were unsuccessful, but nobody who watched or listened to the race that day would ever forget the resilience of the Nissan hero, Motoyama-san. Motoyama made one last Le Mans entry (to date) in 2014 with Nissan’s electric-powered ZEOD RC, but a terminal gearbox issue in the first hour ended their race before he could turn a racing lap in the car. In June 2015, Motoyama and co-driver Masataka Yanagida won the 3rd round of the championship at Chang International Circuit in Buriram, Thailand – the 16th and final victory of Motoyama’s career. 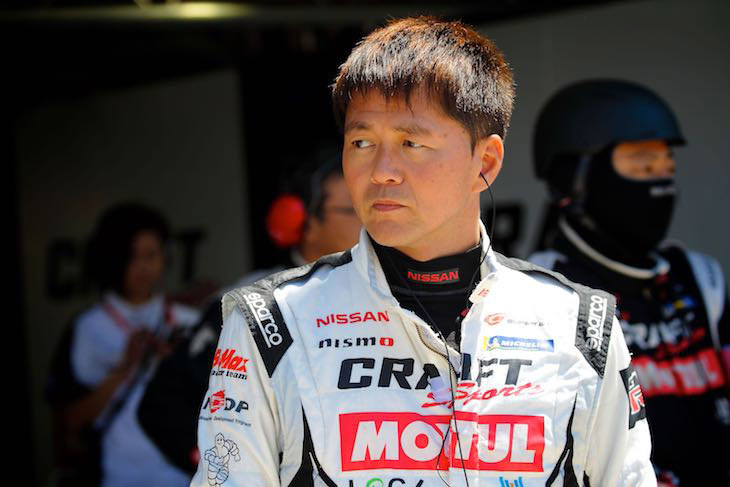 All the way to the end of his career, Motoyama remained one of Super GT’s most determined and competitive drivers. That character was demonstrated in the fourth race of the 2017 Super GT season at Sportsland Sugo, when on the final lap of the race, Motoyama and Kohei Hirate battled and bashed wheels for the victory in one of the most incredible finishes in series history. Motoyama would come home 2nd, and shake hands with Hirate on the front stretch at parc ferme. Statistically speaking, Satoshi Motoyama is one of the all-time legends. Just in his Super GT career alone, he is one of only four drivers to win the GT500 Championship three or more times, alongside Juichi Wakisaka, Yuji Tachikawa, and Ronnie Quintarelli. He’s one of only three drivers to score 1,000 career points in the GT500 class. Though he relinquished the lead in career victories in 2014, his 16 wins are still good enough for third all-time, and when it comes to longevity, he’s one of only seven drivers that’s started over 150 races. Add to that, Motoyama’s four Formula Nippon Championships are a record in the Formula Nippon/Super Formula era (1996-present), and in the history of Japanese Top Formula racing going back to 1973, six-time champion Kazuyoshi Hoshino and five-time champion Satoru Nakajima are the only other drivers with as many championships. Though he may be the most accomplished driver to never win the Suzuka 1000km/10 Hours when it was part of the Super GT calendar, he does have a major endurance racing victory in the 1999 Fuji 1000km (now the WEC 6 Hours of Fuji). The road to the top was never easy. As a young driver, he dealt with career setbacks that saw him struggle to find rides in 1993 and 1994. He had a few heated confrontations on and off the track with other drivers, and in the final race of the 1997 Japanese Touring Car Championship at Fuji Speedway, it nearly cost him everything. Title rival Osamu Nakako hit Motoyama and took him out of the fight for the win with ten laps left. Seeking retribution, Motoyama would wait for Nakako to pass him again, and deliberately spun him out and into the barriers. Nakako won the championship, Motoyama was disqualified, and eventually suspended for the remainder of the year. This was the point of no return: Motoyama would either learn and reflect upon his gross misconduct, or he would completely self-destruct his own career. Thankfully, he chose the former route. No longer the confrontational young rebel racing with a chip on his shoulder, Motoyama has since matured into one of the friendliest drivers in the paddock. A kind man who gave nothing but the utmost thanks to his team, to the manufacturer, and to his parents, upon announcing his retirement today. His speed was apparent even at the beginning of his career, and at the peak of his career, he was described as the driver with the ultimate combination of relentless speed and measured consistency. As former NISMO director Kunihiko Kakimoto points out, he was also one of the best technically-minded drivers on the grid, blessed with the ability to provide excellent feedback to all of his engineers, even early in his career. “He is the king of the drivers,” Kakimoto said, recalling that day at Autopolis in 2011 when he passed eleven cars all on his own to win the race. His rivalries and battles with the likes of Juichi Wakisaka, Yuji Tachikawa, and Ryo Michigami are the stuff of racing legend, the drivers who all made up a new generation, a new golden age of Japanese racing drivers to succeed the likes of Hoshino and Hasemi, Masanori Sekiya and Kunimitsu Takahashi before them, but of this generation, it was Motoyama and his accomplishments who stand the tallest of them all, for not only his success in GT cars but his success in single-seaters as well. Without those great battles between himself and the other drivers who rose through the ranks with him as the legends they grew up with retired, Super GT would never be as big as it is today. 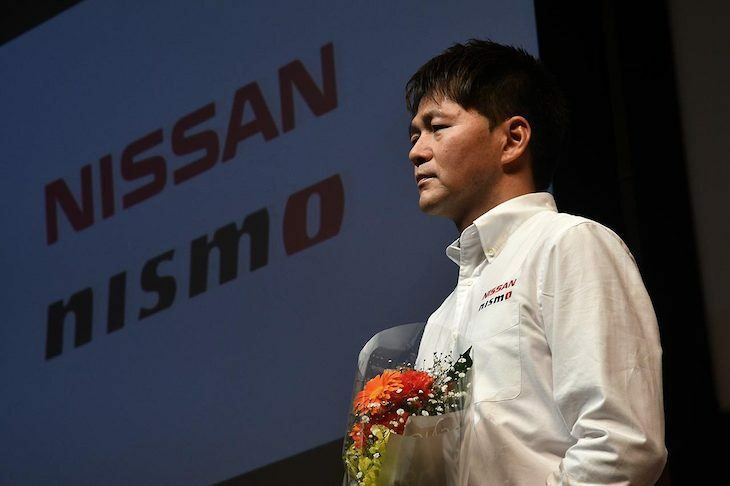 Satoshi Motoyama will still be a part of the Nissan family, accompanying them along their journey to recapture the GT500 and GT300 championship titles. He will be around to mentor the next generation of racing drivers to come after him. But today, one of the greatest drivers to ever strap themselves into a racing car has hung up his helmet. There will never be another Satoshi Motoyama, a man whose accomplishments and legacy will live forever.